Home is where the tap water is tasteless, amirite? - Amirite? - Post your opinion and see who agrees. +18Home is where the tap water is tasteless, amirite? Isn't it strange when you drink the tap water somewhere else and it tases wrong but you can't put your finger on what it is? Well water is the best. I drink from the tap every day, it's city water and it has no taste. Love it. 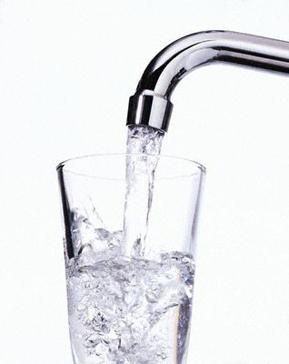 @StarzAbove I drink from the tap every day, it's city water and it has no taste. Love it. So do I, never waste money on bottled water because most of the time my tap water is good - except in the spring it sometimes smells fishy-ewww. Here, municipal water is pumped from a reservoir that's fed by a slow running creek. It has plenty of taste, if you like chlorinated stump broth. I haven't tasted tap water in over 30 years, other than to brush my fangs. I used to get bottled water, but now I haul drinking water in jugs from a mountain spring less than a mile from my house. Being a troglodyte has it's advantages. also you know you are in a different bottling area if your soda tastes strange. I know it is different here in Bangor than it is in Connecticut. It depends on what kind of filter you have. And it might take years to find straight information on what kind of filters you might want. It is strange and maybe dangerous as well, depending on what the issue is. The tap water where I live is tasteless ... but smells. Depending on where you live in the city, the smell changes. Mostly, it smells like bleach - but some places actually smell like mint, chlorine, roses, or other things.